FONA’s headquarters have been very busy this summer and for a very good reason! 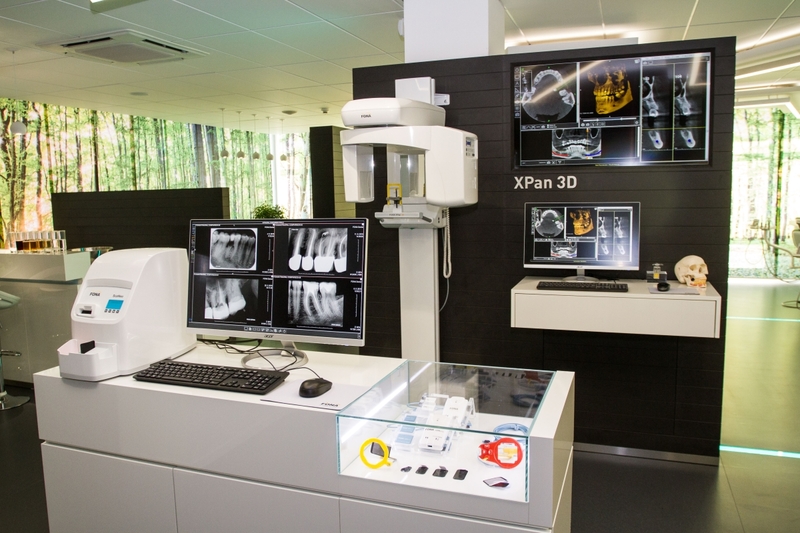 After undergoing major reconstruction, a new showroom in Bratislava was unveiled at the beginning of September. 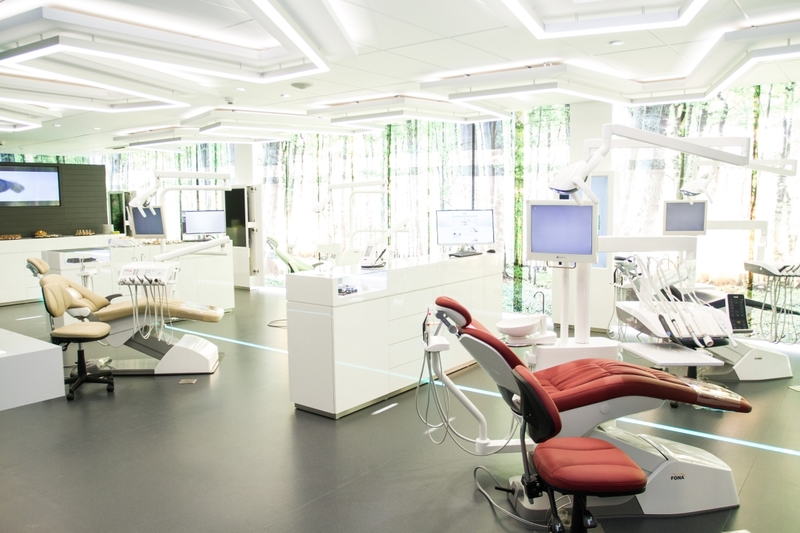 The new space blends together futuristic design, a strong colour palette with natural materials and lots of light. 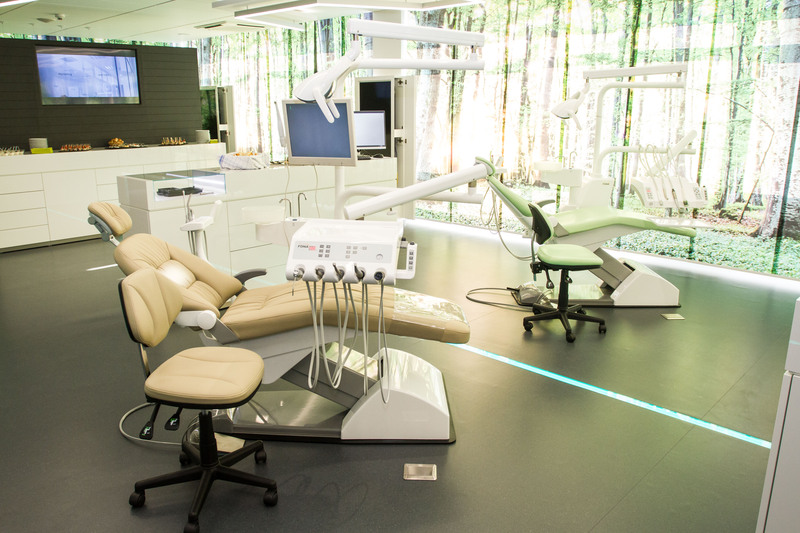 The expanded area, now triple in size, allows for even more fully functional FONA products to be presented. 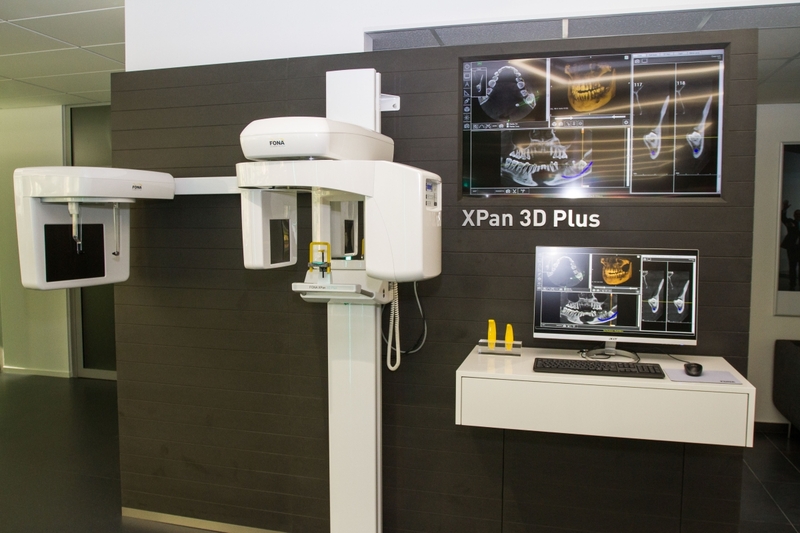 Visitors can experience four treatment centers, four extraoral systems, including the new FONA XPan 3D Plus, four X-Ray systems, including sensors and phosphor plate scanners, and a complete hygiene and laser station. 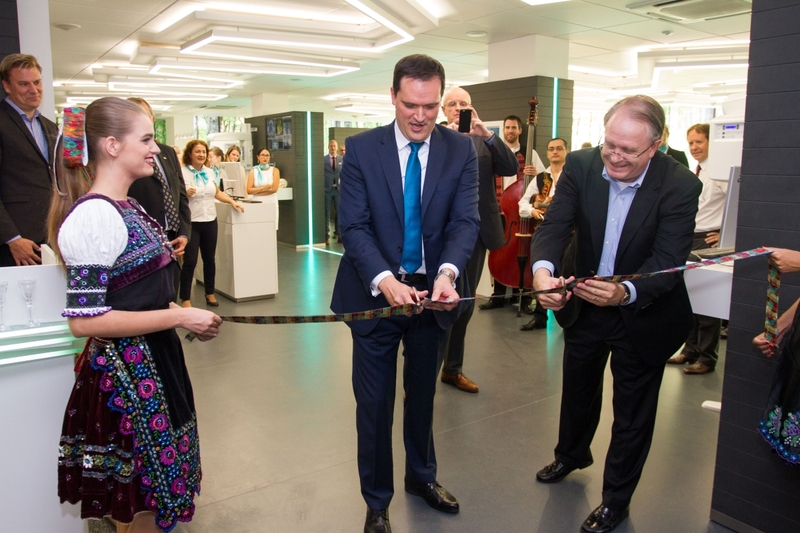 Special guests of the grand opening ceremony were Chris Clark, President and Chief Operating Officer Technologies from Dentsply Sirona and Michael Geil, Vice President of Treatment Centers also from Dentsply Sirona. 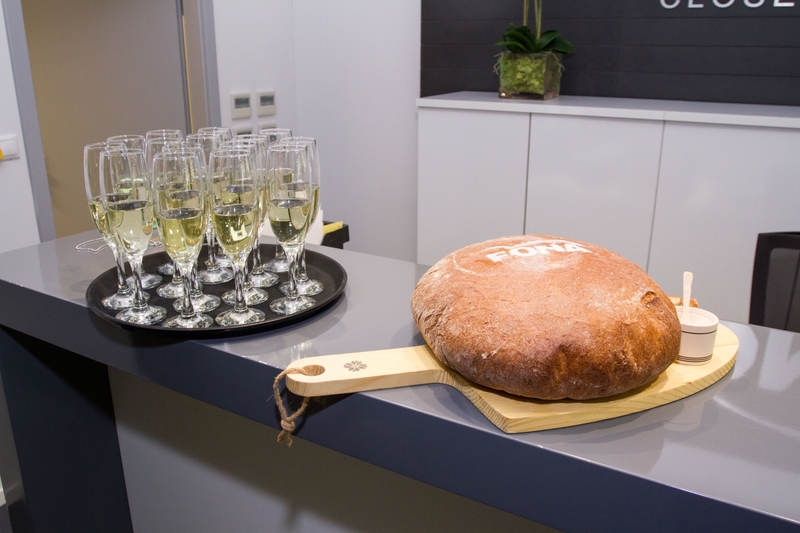 The event started with traditional welcoming of our guests with bread and salt, a local symbol of hospitality, and continued with a speech by FONA’s General Manager Jürgen Kiesel. 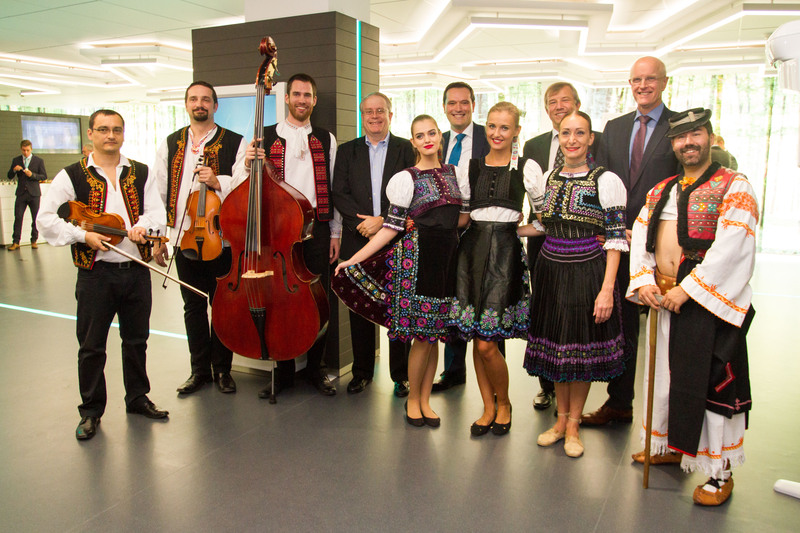 He reflected on the beginning of FONA in Slovakia, at the heart of Europe, and what this new showroom represents for the organisation. He said it is the result of everyone’s collective efforts and will take the organisation to the next chapter in its development. 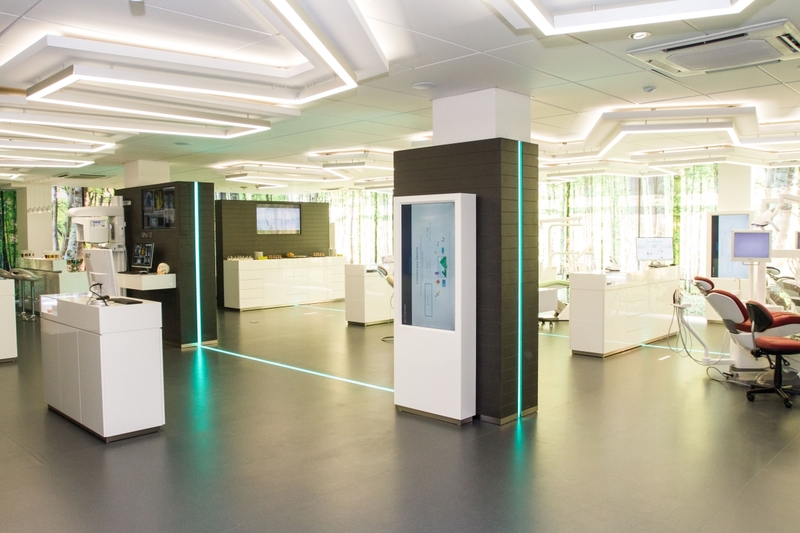 There will be more space for international visitors, trainings, meetings and products. He said he is excited about the future and especially thanked everyone involved in this project and our guests for attending the celebration. 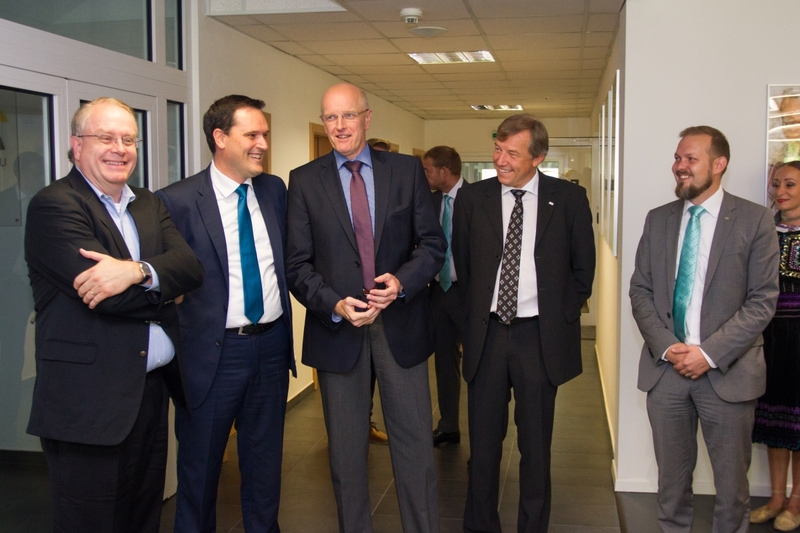 The programme continued with cutting of the ribbon to formally mark the showroom opening by Mr. Kiesel and Mr. Clark, followed by a celebratory toast. 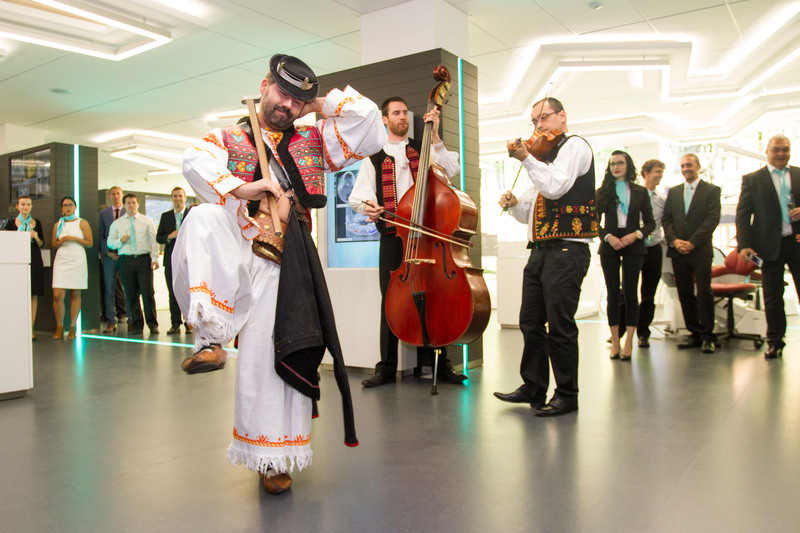 Then there was a traditional Slovak folklore dance show and some light refreshments for all FONA employees and guests to enjoy. 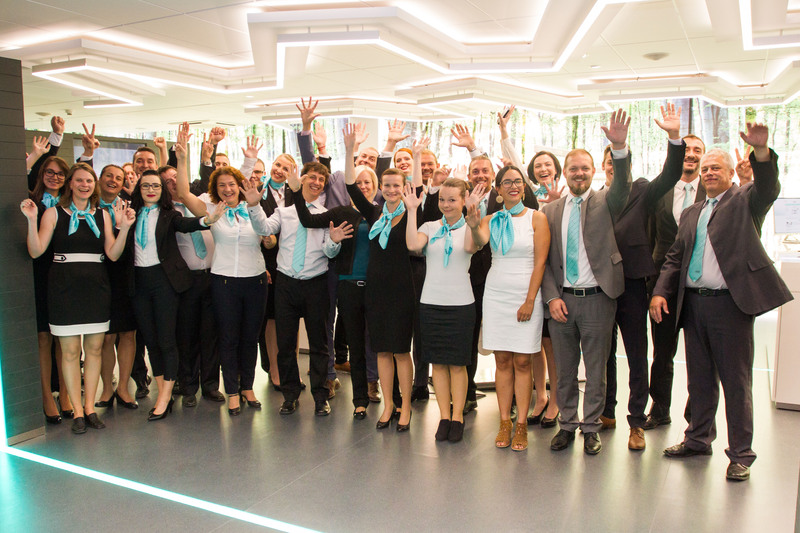 Afterwards, our guests received a guided tour of the new showroom along with members of the Product Specialist team who presented the range and shared valuable expertise. FONA’s growth has been inspiring and shows the result of a joint effort. 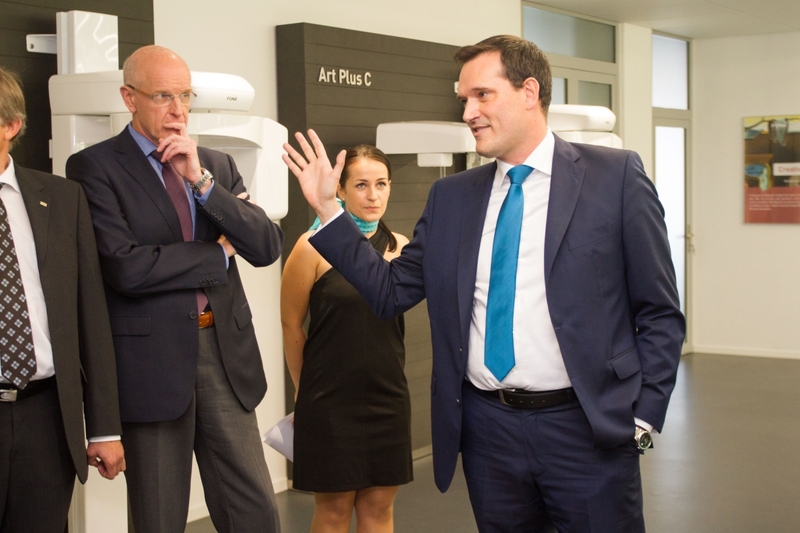 In addition, within the next weeks, more training rooms will be opened, allowing for educations to be carried out on-site. 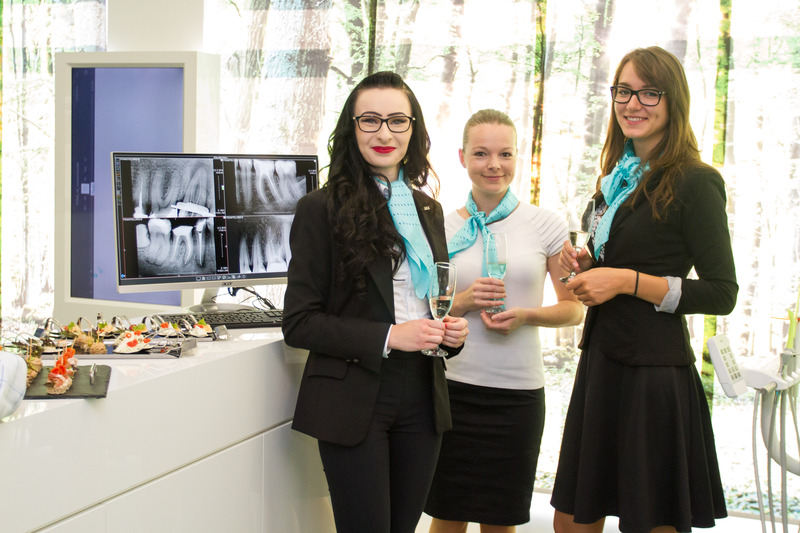 If you would like to visit the new showroom in Bratislava and enjoy the local sights, contact us at marketing@fonadental.com and we will make it happen!